Air China was founded in 1988 and is wholly owned by China National Aviation Holding Company with headquarters in Beijing, China. It is the People's Republic of China's state owned airline. It is also the second largest commercial airliner after China Southern Airlines. With over 4945 flights operating from its hubs located at Beijing Capital International Airport, Chengdu Shuangliu International Airport and Shanghai Pudong International Airport, Air China flies to 185 destination cities, from China to Asia, Middle East, Western Europe, North America and South America. 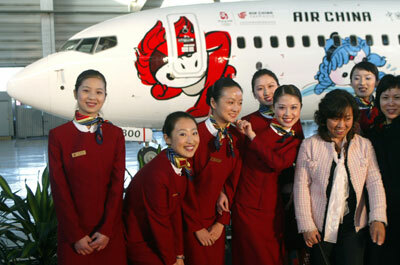 At present, Air China Limited is largest carrier in the world in terms of market capitalisation. The airline company actually take over Singapore Airlines in the year 2007. With 214 aircraft to its passenger fleet (18th largest in the world), Air China is also 4th largest airline in Asia, 5th largest in the world from the domestic cargo traffic handled. Air China runs in 4 different sections namely Airline Operations, Engineering Services, Airport Terminal Services and others such as catering services and other airline-related services. Air China's frequent flyer program is called Air China Companion which will offer travellers frequent flyers while flying with Air China flights or its partner airlines. Membership include both Gold and Platinum card members. VIP Lounge is Air China's member lounge. Air China Cargo fleet consists of the following aircraft types :- Boeing 747-200F, Boeing 747-400F and Tupolev Tu-204-120C. 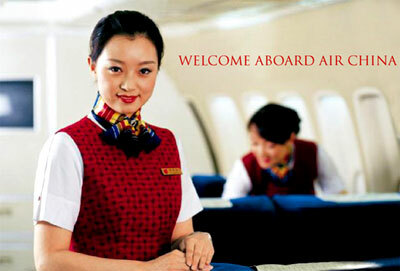 Air China will soon be a member of the Star Alliance group. It's partnership for its frequent flyer programs include airlines such as Avianca, British Airways, Cathay Pacific, China Airlines, Continental Airlines and Virgin Atlantic Airways.